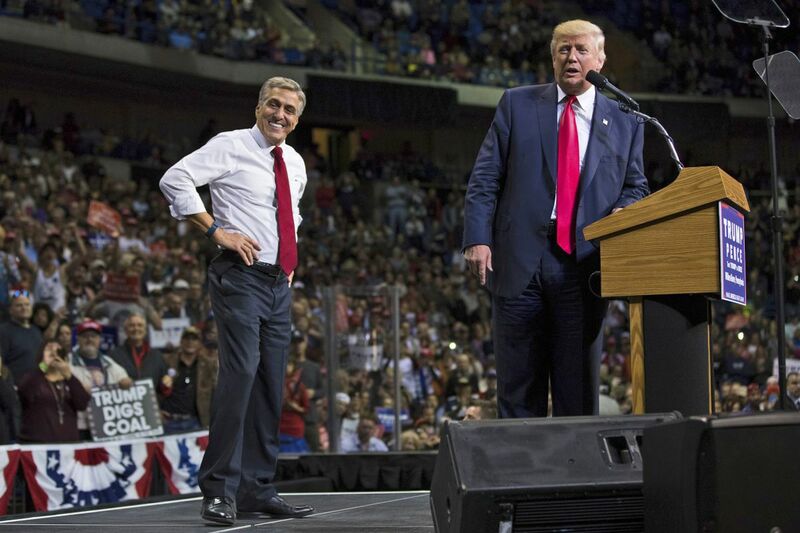 WASHINGTON — One of President Trump's most prominent Pennsylvania supporters, U.S. Rep. Lou Barletta, is edging toward running for the U.S. Senate next year, potentially setting up a direct referendum on the president's political brand. Barletta, a Northeast Pennsylvania Republican who built his name as a fierce critic of illegal immigration, has been encouraged to run by Trump and is planning an announcement before Labor Day, according to John Brabender, a GOP consultant who works for the congressman. The Associated Press reported that Barletta is telling top Republicans that he will run for the nomination to take on Sen. Bob Casey, a Democrat, citing an unnamed source, though GOP officials in Washington and Pennsylvania said nothing was yet firm. "He's very, very seriously considering it. He has not committed to doing it yet," said Val DiGiorgio, the Republican state chairman. "He hasn't told me that he's in. They're at the planning stage where they are thinking about an announcement." Trump became the first Republican presidential candidate to win Pennsylvania since 1988, scoring an upset that proved critical to his Electoral College victory. The next test for the GOP is whether that win was unique to Trump, or can be replicated by more traditional Republicans. Trump began urging Barletta to run earlier this year after the congressman became one of the president's most visible backers in the 2016 presidential campaign. "People all across Pennsylvania and the White House have been encouraging Congressman Barletta," said a spokesman for the congressman, Jon Anzur, who criticized Casey as "an extreme liberal." Barletta "is still giving it serious thought and will make an announcement about his plans in the near future," Anzur wrote in an email. "Stay tuned." The congressman "would have the support of the president, ability to raise substantial funds, which you need to win a race like these," DiGiorgio said. Barletta is the former mayor of Hazleton, Luzerne County, part of a region where Trump racked up massive margins last year against Democrat Hillary Clinton with his appeal to white working-class voters. Casey, too, hails from the same region, and has cast himself as a fierce Trump critic in the months since the election, potentially setting up a 2018 test of the president's standing two years into his term. Democrats immediately pounced on Barletta's support for the Trump-backed health-care bill that passed the House earlier this year, citing the consumer protections that would have been weakened and potential cost increases under the plan. "At every turn Congressman Barletta is looking out for himself and the wealthy special interests he serves, while Pennsylvania's seniors and working families pay the price," said a statement from David Bergstein, a spokesman for Democrats' national Senate campaign arm. Eight other Republicans have already filed to run for the Senate, though Barletta would be the biggest name in the mix should he run. Rep. Mike Kelly, a Republican from the northwestern part of the state, was also considering a run, though GOP insiders said he would not run if Barletta did.